Getting the word out live has it’s advantages, and when you package it like a TV broadcast, you’re going to get the engagement you’re looking for. 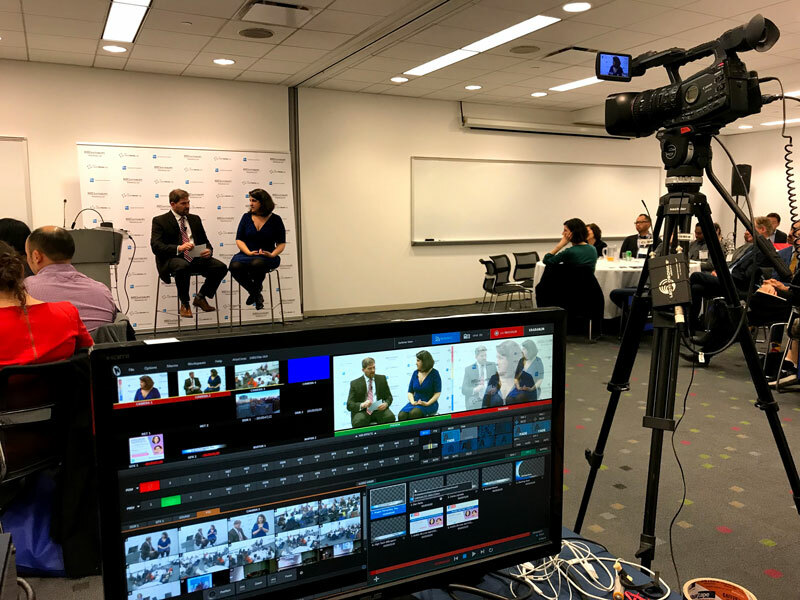 Here we used a Tricaster mini switch and three HD cameras to live edit and broadcast this meeting in a Ted Talk sort of way. One of the cameras was a PTZOptics camera, which was controlled by the switch editor without a camera operator. You can reach your viewers in a polished way using multi-camera, even from smaller meetings. Thank you so much for all of your help in making the American Express Leadership Academy Global Summit a great success! Your skills and hard work were greatly appreciated. We couldn’t have done this without you. Many thanks!